Fine Fabric Care of Columbus was established in 1980 when Bill Weiss saw the need for a more specialized carpet and upholstery cleaning company in Central Ohio. While most carpet cleaning companies focused on carpet only, Fine Fabric Care found a niche in delicate, hard to clean fabrics in addition to carpet and area rugs. Through our partnership with Fiber-Seal of Central Ohio, Fine Fabric Care gained the trust of local interior designers and architects as well as many industry professionals. As a result, we expanded into commercial cleaning of carpet, chairs and workstation cubicle panels. Today Fine Fabric Care offers their clients both cleaning and stain protection for all types of custom upholstery and carpet as well as draperies and tile & grout cleaning. With over 33 years of being a small business owner, Bill understands the commitment to service and customer satisfaction. Community involvement has been an important part of the company history. In 1999, Bill received the 40 under 40 achievement award from Business First for charitable contributions as well as business success. Bill is still involved with Meals on Wheels, GoodWill Industries and Secret Santa as well as many other local charities. He has attended many accredited carpet and upholstery cleaning schools gaining valuable knowledge of the trends in the industry. 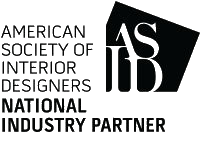 We are active members of ASID, IFMA, BOMA and ALA in support of our industry associations. Knowing that there are other options for carpet and upholstery care in Columbus, Fine Fabric Care is committed to superior customer service and exceptional care of the finest furniture fabric upholstery, custom drapery, and luxury flooring. We are proud of the fact that our experienced technicians can clean the most difficult carpets and upholstery that frankly our competitors would turn away. We have a unique professional approach to an otherwise stereotyped industry. We offer in home “no charge” estimates in advance. We are proud that our personalized service remains unmatched in the industry.